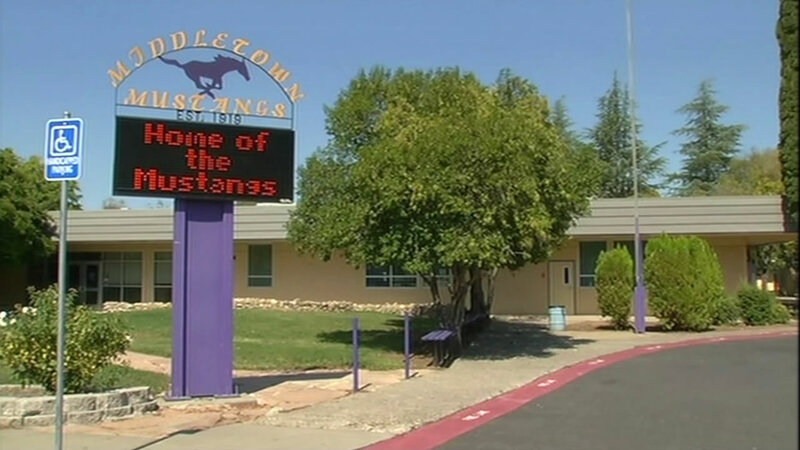 MIDDLETOWN, Calif. (KGO) -- Friday is homecoming for many high schools, including Middletown High, a community devastated by the Valley Fire nearly two months ago. About half the Lake County town was destroyed when the huge fire swept through on September 12. That was a week before Middletown High School's homecoming. The event had been rescheduled for this weekend. All the girls at Middletown High School will have homecoming dresses thanks to some generous donations. A San Ramon woman helped collect 150 dresses and shoes for the town's teens. The festivities kick off with a community barbecue Friday afternoon. It didn't take long watching all the images of the Valley Fire on TV for a San Ramon woman to see a need and want to fill it. Nancy Rosenblum has collected dresses, shoes, and purses so Middletown High School students affected by the Valley Fire have a perfect outfit for the homecoming dance.